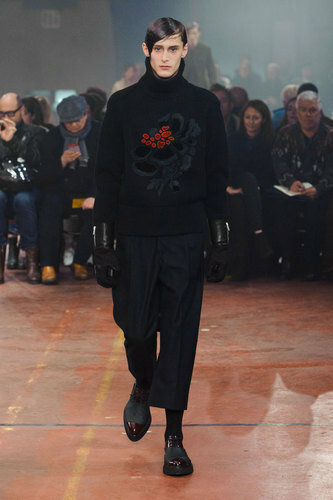 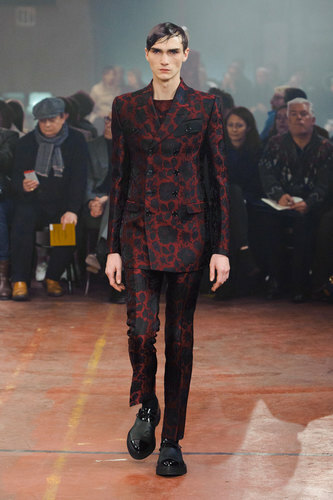 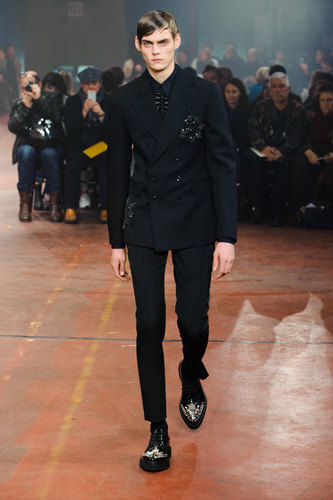 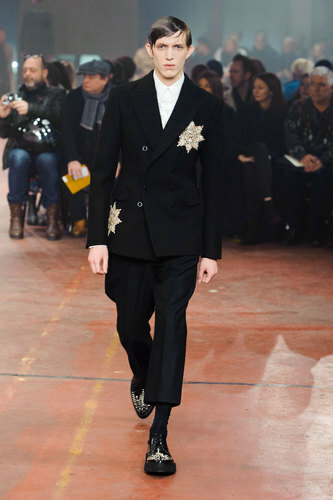 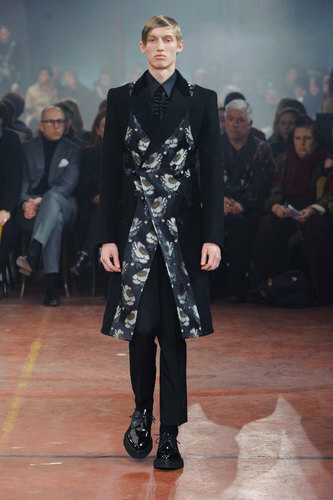 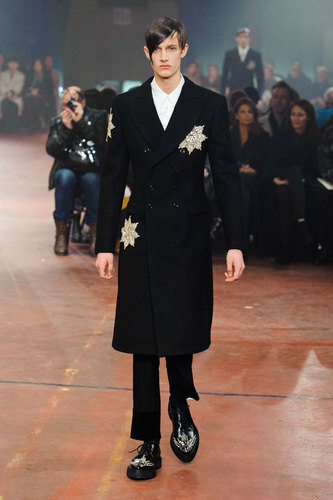 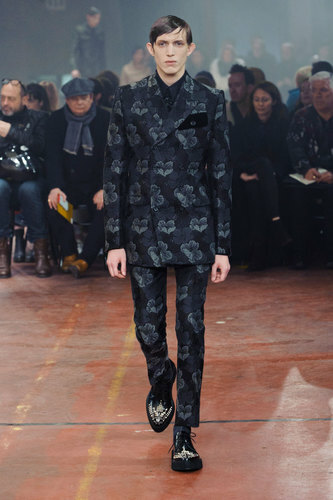 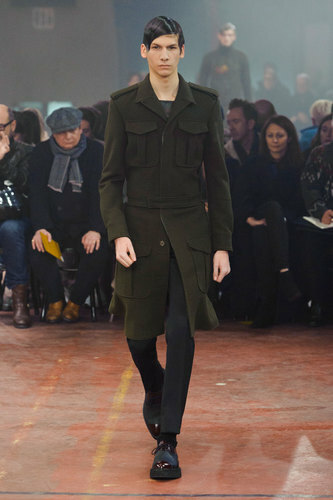 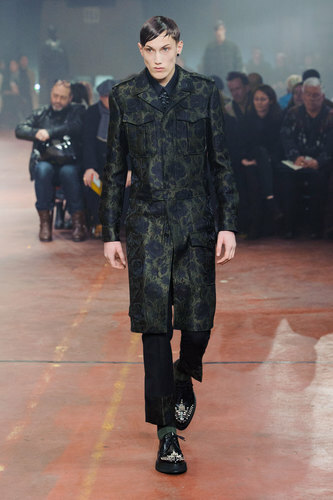 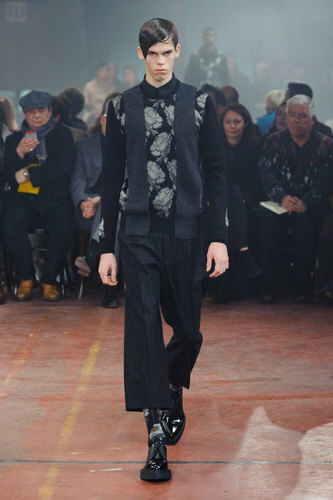 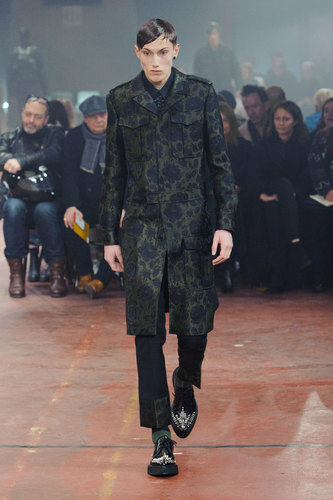 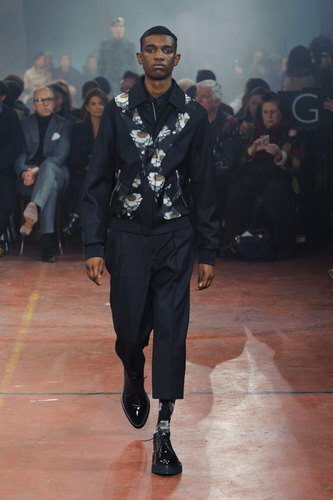 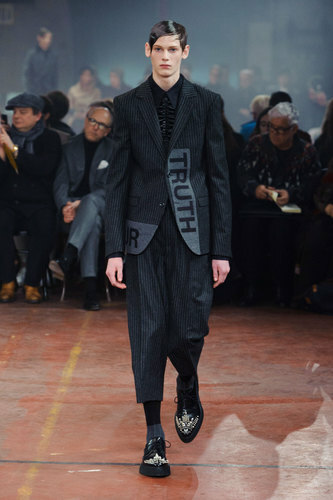 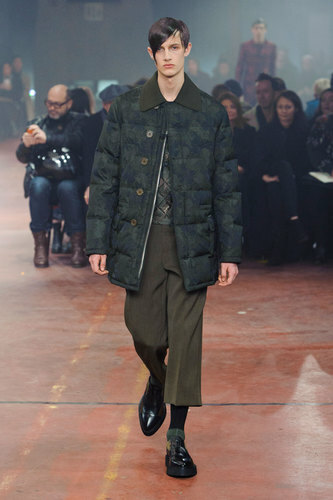 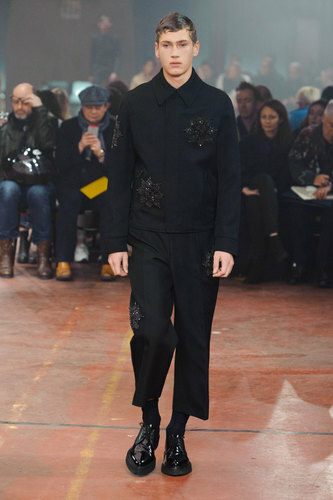 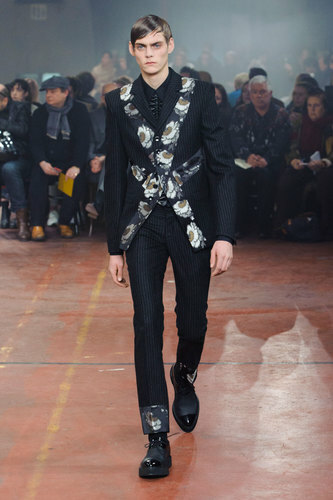 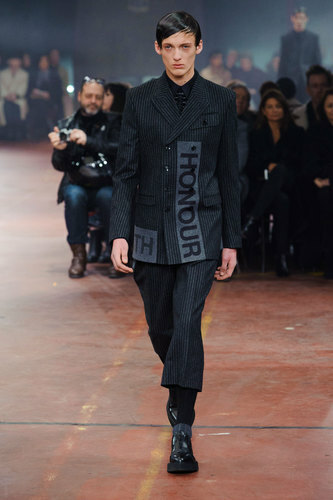 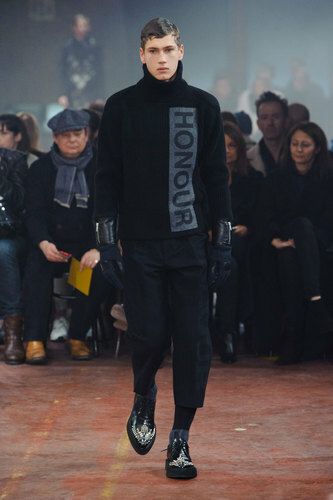 Autumn-Winter 2015/16 – The Alexander McQueen fashion show evokes a second world war mode: the hairstyle of the male models, the statements printed on the jackets “honour”, “truth”, “valour”, the choice for some outfits of the military green and big stars fixed on the tops. 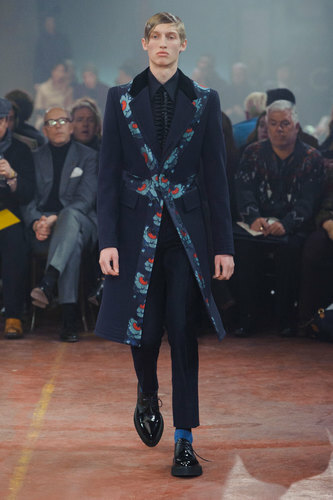 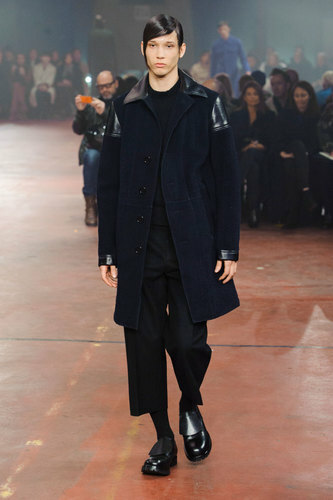 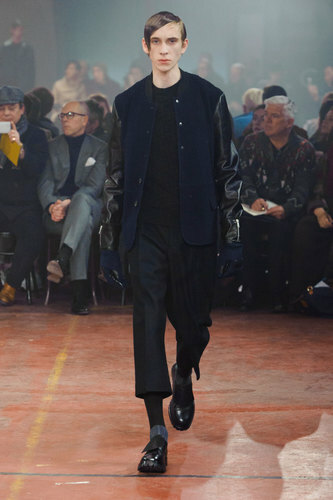 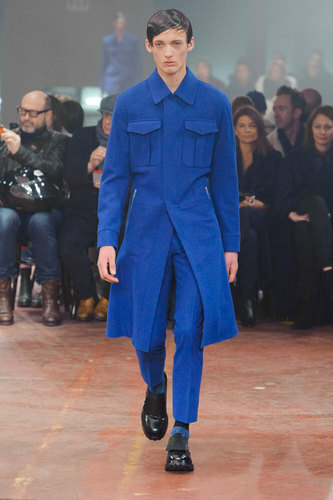 Blazers and long coats are protagonist on the catwalk. 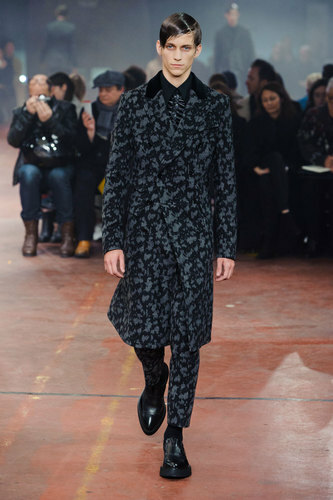 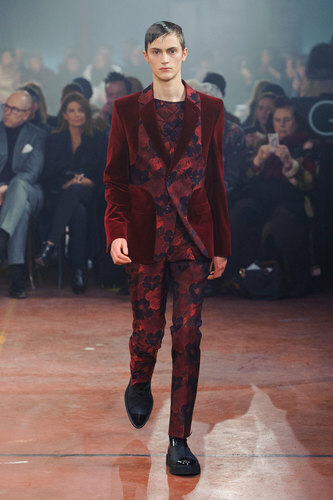 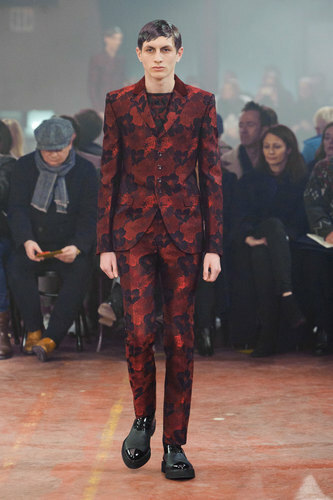 Printed damask fabrics, silk and velvet are the main textiles used by Sarah Burton to realize this remarkable collection. 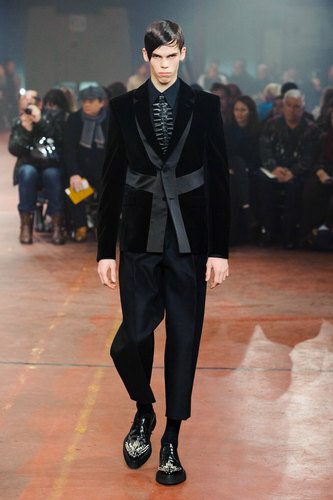 Cascading ruffles form the collar of every shirt in a structured way. 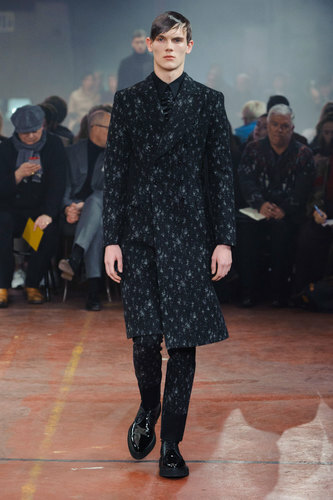 Long lined silhouettes walk through the runaway in dark colors. 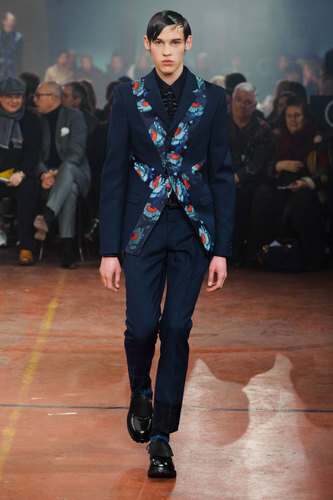 We have some bright blue suits and few floral details on the blazers that bring a fresh pop up during the show. 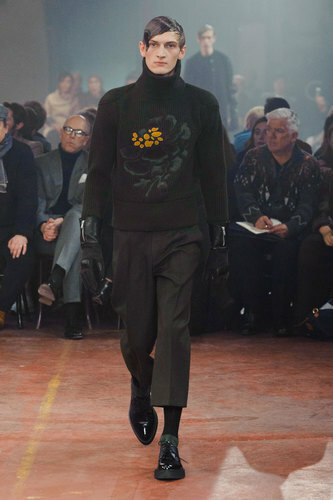 The designer creates a tidy despotic image of the individual. 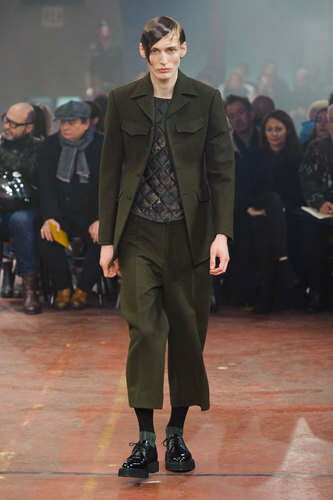 The edge of the trousers is quite short. 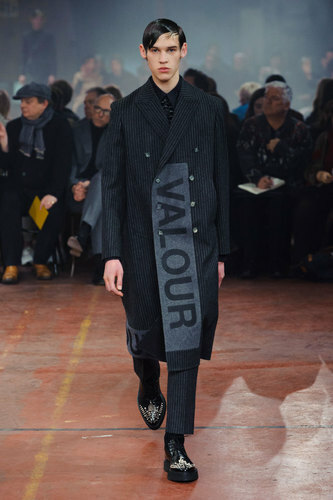 This allow the man to expose the socks always matching the rest of the uniform.